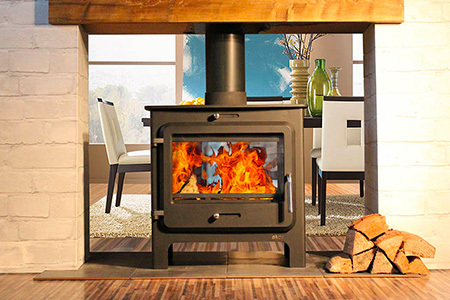 To encounter this cold air plug generally comes as a surprise to the user of the multi fuel stove. It is common with insulated twin wall flues or exposed chimneys to experience a ‘cold plug’. This occurs when temperatures drop suddenly and the chimney has been left to go cold an invisible plug of cold air can form in the chimney. 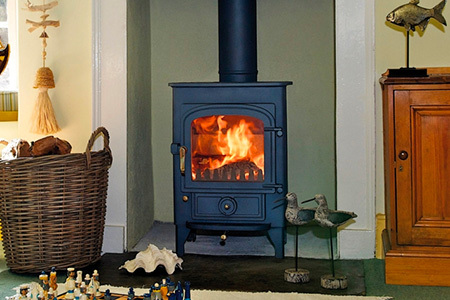 The result of this is that the chimney is plugged and pushes smoke back down and out of the log burner. This can occur overnight if temperatures drop rapidly. 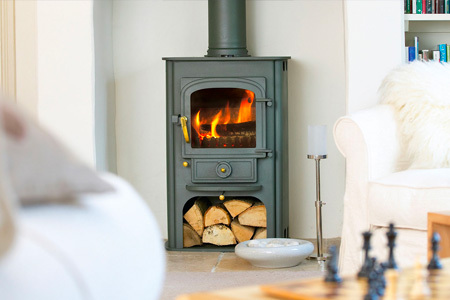 This can also occur where a chimney has not been used for a while and is known to be clean i.e. not blocked with a birds nest. This is quite common with an exposed flue such as a twin wall insulated flue. The solution to this is very simple. 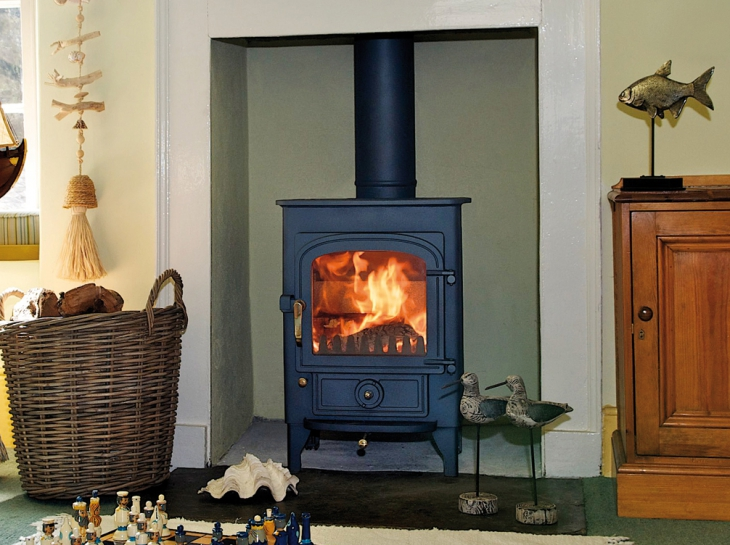 Try leaving the door of the stove open for about half an hour prior to lighting and or start by lighting a firelighter on its own, open the air vents and close the door, when the firelighter is almost burnt add another and some kindling. Allow this to burn for about five minutes before adding the logs. The idea is to gently increase the internal temperature of your chimney which will remove the cold air plug. 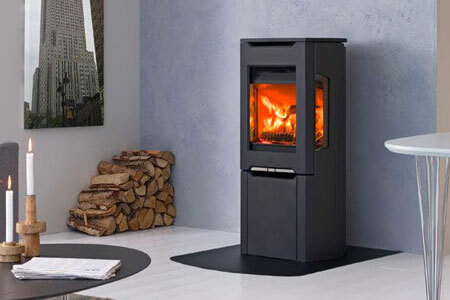 We also can recommend a Grendier Electric Firelighter which warms the flue quickly.